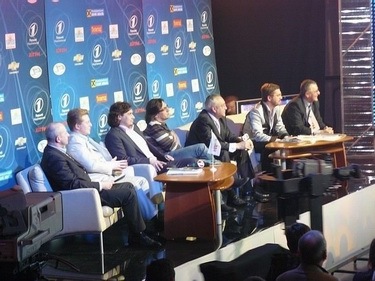 Ukrainian national selection will take place February 23d in Kyiv. It will be a live concert of Ani Lorak performing 6 brand new songs written especially for the contest. Her every song is a 100% hit! Her albums are sales leaders in her motherland! Her photos illustrate the covers of the most popular magazines in Ukraine! She is one of the most actively touring female singers in Ukraine! All the abovementioned concerns Ani Lorak! When she was 19 years old she got the status of the Honored artist of Ukraine and thus became the youngest singer to be awarded this status ever. She is the owner of numerous awards, four Golden Records as a result of sales of the albums "There where you are", "Ani Lorak", "Smile", "Tell me…", she is the winner of prestigious international and native festivals and ratings including television competition "Morning Star" (Moscow, 1996), and she is the International contest of the young musicians "Big Apple Music-96" (New-York) Grand-Prix owner. Ani Lorak was many times acknowledged Ukraine’s best singer. There are 2 solo concerts on the major stage of Ukraine, ten albums, one single, an autobiographical film, and more than 20 videos in her portfolio. She is the most beautiful and the sexiest woman according to the polls of Ukrainian magazines. Her creative realization exceeds the framework of singing. Ani Lorak is a talented actress. She acted as Zemphira in "The Gypsies" musical, medical service lieutenant in the "Take the Greatcoat" music film, Oksana in "Evenings on a Farm Near Dikanka", Flanchetta in "The Crazy Day or The Marriage of Figaro", dubbed the Baby in the Norwegian cartoon "Karlsson-on-the-Roof" (2006) and two roles at once – those of the Kitty and the Little Bee of the Estonian cartoon "Lotta from the Country of Inventors" (2007). Three books for children were published with Ani Lorak’s support, they are – "How to Become a Star", "How to Become a Princess", "How to Become a Culinary Star in 7 Days". The singer owns the "Angel-lounge" restaurant in Kyiv. Ani is a marvelous poet and composer. She is also a producer of her own brand. The singer pays a lot of attention to the charity. Ukrainian branch of UNISEF and UNO issued a commendation to Ani Lorak for her being very helpful to the HIV-infected citizens of Ukraine while acting as the UNO Goodwill ambassador for HIV-AIDS matters in Ukraine. In 2005 Ani Lorak was conferred the St. Stanislav Order of the 4th degree and the Officer Cross "for strengthening the international authority of Ukraine, for the high professionalism, great creative successes and adherence to the chivalrous ideals". Ani Lorak properly represents Ukraine at the world music market. She’s given performances in England, the USA, France, Germany, Hungary, Poland, and Turkey. However, she is not going to stop at this. In the nearest future she plans to enthrall the European audience! It wouldn’t be very difficult for her as her album music material has the high-quality and stylish sound, melodies performed in the best traditions of soul, funk, pop and pop-rock, as well as the wonderful lyrics. And at the same time there is the strong and tender, enthralling and unique voice of Ani Lorak. You can listen to the studio version of "Shady Lady" here (audiofile is presented strictly for promotional purposes) Финал Украинского национального отбора пройдет 23го февраля в Киеве. На этом концерте Ани Лорак исполнит 6 новых песен, специально написанных для Евровидения. Каждая ее песня - 100%й хит! Ее альбомы - лидеры продаж у нее на Родине! Ее фото украшают обложки самых популярных журналов на Украине! Она - одна из наиболее активно гастролирующих певиц Украины! И все вышесказанное - об Ани Лорак! Когда ей было 19 лет - она уже получила статус Заслуженной Артистки Украины и стала самой молодой певицей, когда либо получавшей этот титул. Она - обладательница множества наград, четырех "золотых дисков" по результатам продаж альбомов "Там де ти е", "Smile", "Розкажи", обладательница премий престижных международных и национальных фестивалей, включая телевизионные шоу "Утренняя звезда" (Москва, 1996) и гран-при международного конкурса молодых музыкантов "Big Apple Music-96" (Нью-Йорк, США). Ани Лорак неоднократно признавалась лучшей певицей Украины. Она дала два сольных концерта на крупнейшей площадке страны, выпустила десять альбомов, один сингл, автобиографический фильм и более чем 20 видеоклипов. Она признавалась самой красивой и сексуальной женщиной Украины согласно опросам различных Украинских журналов. Ее творчество выходит за рамки пения. Ани Лорак также талантиливая актриса. Она исполнила роли Земфиры в мюзикле "Цыгане", Оксаны в "Вечерах на хуторе близ Диканьки", Фаншетты в "Безумный день или женитьба Фигаро", озвучила роль Малыша в норвежском мультфильме "Карлссон, который живет на крыше" (2006) и две роли сразу Kitty и Little Bee в эстонском мультфильме "Lotta from the country of inventrors" (2007). Три книги для детей были выпущены при поддержке Ани Лорак - "Как стать звездой", "Как стать принцессой", "Как стать звездой кулинарии за 7 дней". Певице принадлежит ресторан "Angel-lounge" в Киеве. Ана также отличная поэтесса и композитор. Она также продюсер собственной торговой марки. Певица уделяет большое внимание благотворительности. Украинская ветвь UNISEF и UNO выпустила благодарность Ани Лорак за ее помощь ВИЧ-инфицированным жителям Украины при исполнении обязанностей посла доброй воли ООН по вопросам ВИЧ-СПИД Украины. В 2005 году Ани Лорак была представлена к ордену Св.Святослава 4й степени" и офицерскому кресту "за укрепление международнойго влияния Украины, за высокий профессионализм". Ани Лорак достойно представляет Украину на мировом музыкальном рынке. Она выступает в Англии, США, Франции, Германии, Венгрии, Польше и Турции. Однако, она не собирается останавливаться на этом. В ближайшем будущем она планирует захватить и Европейскую аудиторию. Это не будет слишком тяжелой задачей для нее, поскольку материал ее музыкального альбома обладает высококачественным звучанием, мелодиями в лучших традициях соула, фанка, поп и поп-рок музыки, а также замечательными текстами. В тоже время там есть и сильный и нежный, зачаровывающий и уникальный голос Ани Лорак. Прослушать студийную запись песни "Shady Lady" вы можете здесь (аудиофайл представлен исключительно в промоционных целях). я зажгу в тебе огонь. всё, что я храню под покровом. это то, что я больше не твоя. I like Ruslan Alehno a lot and it is a big pity that last year he was not in place of Koldun. As a person, Ruslan is much warmer. This can be felt in everything. He will say "thank you" thousand times. He is very attentive, well brought up boy. Of course, I wished to help him, even if he is in other team... I will be glad to do everything to Ruslan when we will be at Eurovision - to help, to advice, to support, because he is a good guy. But I am not able to help him in a such way as I helped to Belarus last year. I was Koldun's producer. Actually I was head of delegation, I did everything with which your Azaryonok has not coped with... but I see that he is still working on TV, and will again be head of delegation. I won't enter details, but leadership of the country has taken my idea to support Belarus participant last year very wrongly. I did everything myself last year. And this 6th place was reached on my own money. And now, still this people look at me facr to face and think that I really had to pay own money, which I got by own hard work, to this Eurovision 2007 event and Dima Koldun, though I was not his producer, but just composer of his entry. That was not my job to finance the whole process, but the one of a state. I'm 100% sure that I will never take part in preparation of Belarus team for Eurovision again. I'm artist and not patron of art. I worked as patron for Belarus. Enough is enough. Nobody even thanked me, nobody even sent a flower from Belarus embassy in Russia. This was big experience for me, I'm thankful to all these artists who passed the whole road with me - Angelica Agurbash, Koldun, Lorak, Bilan. Two years ago I stood under Russian flag and I brought second place to Dima Bilan inventing this piano performance. Before I entered the team Bilan was considered outsider on all polls. And when I arrived to the contest he turned into leader. It is important. Everyone was victorious from my participation in their campaign. Everyone who listened to me. When some one didn't listen to me - there were different results. But anyway, that were good performances. Agurbash for example. Very beautiful costumes, song, performance... But I won't reveal the details that lead to her failure in the semifinal, because it is long story. I have bright examples of success both for Belarus and Russia, and now for Ukraine. And this is not the end. If next year I will be invited by any of post-Soviet countries, I will be glad to help this country. But only for ex-USSR ones. For me it is still one country and this won't be treachery. I want example of Ani Lorak and Ukrainian preparations to become example for every post-Soviet countries taking part in Eurovision song contest. The reason why it is different is that I wrote the song, I'm composer and producer, but I do not finance the project. And singer is not paying herself as well. Everything is financed by state. We have absolutely no problems in it. We're supported everywhere: visa questions, ticket questions, promotional tours in Europe also are supported by state. Everything is done as it should be. And you will see the result. To order dress is not equal to buy one. I do not care what papers say. Yes, I've ordered dress by Cavalli. But I'm not sure whether Cavalli will ask any money for it. Yes, it's price really is around 200 thousand euros, but my relations with Cavalli are not made only on monetary basis, as sale or rent. I have special relations with this man. As Eurovision is huge event Roberto Cavalli is also interested that his name will sound from Eurovision stage and one of the main contenders will perform in his dress. So, there is no question about purchase of all this dresses and costumes. It may be a present - from myself or Cavalli. We're looking for victory. At least we've done everything for it. We're working with Greek team and choreographer of Lorak's presentation is legendary person in this genre. We have very strong team and good song. I think top 5 will also include Serbia, Armenia, of course Russia. And may be Sweden. I'm not Kirkorov's protegee. We're good friends first of all. We first met while filming a musical for TV. Now we're business partners. I'm very famous artist in my own country, fortunately. Philip is very famous all over CIS, so we're cooperating, we have friendly relations. He has composed excellent song "Shady Lady" which won in national selection in Ukraine and that was starting point as I liked it a lot and with every performance I like it even more. May be in future we will have some joint projects with Philip. And now I'm glad that we're passing this road together. In 2005 I was due to represent Ukraine at Eurovision, but 2-3 days before the decision there was entered the band that sung political song. People were very worried, they even entered the street protest with my posters in hands. It was like small revolution. A lot of people were unhappy. After this story I said: that's enough! I don't want to go to Eurovision any longer. But every year people were asking, when you will go there? It is a fate. Other artists were selected and the question still was asked. And this year president of national broadcaster has approached me directly and suggested the conditions that there will be no preselection contest. That I've already deserved this right to represent own country. We don't know exact price of Cavalli dresses yet, as they are still being prepared... But certainly, it won't be cheap. Dress for me and costumes for dancers are preparing specially for us. We don't know exactly who will pay for it, as we will decide this question later. While we don't have ready costumes, we've not been discussing the price. I've met Ruslan Alehno in Moscow, where I performed at Russian Eurovision selection. He has made an impression of very pleasant, sunny and positive person. He has very simple, catchy song with message. We've been performing recently together in London and whole hall was singing Hasta La Vista together with him. I think he has all chances to become one of leaders, and I think Belarus won't be ashamed of his performance. I had no chance yet to listen to other contestants. We've travelled through 20 countries since March! I will meet all singers in Belgrade. Now I just want to finish my promotional tour, to sleep well prior to Belgrade and perform with good mood. Я очень люблю Руслана Алехно и очень жалею, что в прошлом году на месте Колдуна не оказался Русланчик, потому что по человеческим качествам Руслан, безусловно, очень теплый. Это чувствуется во всем. Он тысячу раз скажет "спасибо". Очень внимательный человек, очень воспитанный мальчик. Поэтому мне очень бы хотелось, конечно, помочь Руслану даже вне зависимости от того, что я в другой команде… Все, что возможно, ему там на Евровидении - помочь, подсказать, поддержать, - я с удовольствием сделаю это, потому что Руслан - очень хороший парень. Но я не могу ему помочь так, как я помог Беларуси в прошлом году. Я был продюсером Колдуна. Я фактически был руководителем делегации, сделал все то, чего не сделал ваш Азаренок при подготовке к конкурсу… который продолжает как ни в чем не бывало работать на телевидении, опять-таки возглавляет белорусскую делегацию. Не хочу вдаваться в подробности этого процесса, потому что руководство страны очень потребительски отнеслось к моей инициативе поддержать в прошлом году участника от Беларуси. Фактически я вынес этот конкурс на своих собственных плечах. И шестое место было обеспечено на мои личные финансовые средства. До сих пор, как ни в чем не бывало, люди мне смотрят в глаза и считают должным, что я внес свои личные, заработанные потом и кровью средства в мероприятие под названием Евровидение 2007 и Диму Колдуна, хотя я не его продюсер, я просто композитор и автор песни. И я не был обязан финансировать весь это процесс, который должно было финансировать государство. Сто процентов, что больше в подготовке артистов Беларуси к Евровидению я участвовать не буду. Я артист, я не меценат. Я поработал меценатом для Беларуси. Хватит. Даже спасибо никто не сказал, даже цветочка из посольства Беларуси в России никто не прислал. Я прошел большую школу, я благодарен всем своим подопечным, которые прошли со мной этот путь, начиная с Анжелики Агурбаш, с Колдуном, с Лорак, с Биланом, в конце концов. Два года назад я стал под российские флаги и принес Диме Билану второе место, придумав номер с роялем. Я привлек и команду для работы над этим номером. До моего появления, по опросам, Билан был аутсайдером. А когда я приехал на конкурс, он сразу выбился в лидеры. Это очень важно. Поэтому сразу, с момента, как только меня приглашали поддержать или посоветовать на Евровидение, все от этого только выигрывали. Те, кто слушался. Те, кто не слушался - были немножко другие результаты. Но тем не менее, это были очень достойные выступления. Той же Агурбаш. Это было очень достойное, красивое выступление, красивые костюмы, красивая песня… Но все эти детали, почему она не прошла в финал, я не буду об этом рассказывать, потому что это слишком долгая история. Поэтому у меня в багаже существуют конкретные примеры удачных выступлений: и в России, и под белорусским флагом и вот сейчас - под украинским флагом. И это не предел. Думаю, что если меня попросит в следующем году кто-то из других стран нашего постсоветского пространства, я с удовольствием стану под флаги этой страны. Именно постсоветского пространства. Кто бы там что ни говорил, я не считаю это предательством. Для меня это одна страна. Мне бы хотелось, чтобы пример Ани Лорак и то, как страна готовится к Евровидению, послужил примером всем странам постсоветского пространства, которые готовятся к Евровидению. Дело в том, что я написал песне и являюсь в этом проекте композитором и продюсером, но, кроме своего морального вклада в этот проект, я не вкладывал в него финансов. И певица практически тоже избавлена от этой миссии. Все на себя взяло государство. Мы не знаем никаких проблем. У нас идет поддержка по всем статьям. Визовая поддержка, билетная поддержка, промо-туры по всей Европе тоже поддерживаются государством. На Украине все сделано так, как это должно было быть сделано. И вы увидите результат. Заказать наряд еще не значит его купить. Мало ли что пишут в газетах. Я заказал наряд у Кавалли. И не факт, что Кавалли попросит с меня деньги за этот наряд. Он действительно стоит около 200 тысяч евро, но мои отношения личные с Кавалли не подразумевают "купи-продай" или "дал поносить-забрал". У меня особые отношения с этим человеком. И поскольку Евровидение - очень масштабное мероприятие, то господин Роберто Кавалли тоже очень заинтересован в том, чтобы его имя звучало со сцены Евровидения и одна из главных претенденток на награду выступала в его платье. Поэтому тут вообще не стоит вопрос о том, кто будет покупать эти наряды, платья и костюмы. Потому что это вообще может быть бесценно или может быть подарком - от меня или от Кавалли. Мы настроены на победу. По крайней мере, мы все для этого сделали. Команда собрана греческая и режиссер ее номера - человек - просто легендарный в этом жанре. Вообще у нас очень сильная и крепкая команда, да и песня у нее неплохая. Я думаю, что пятерке будет Сербия, Армения, Россия, конечно же. Может быть, Швеция. Я не протеже Киркорова. Нас с Филиппом связывает, прежде всего, дружба. Мы с ним знакомы с мюзикла "Вечера на хуторе близ Диканьки". В данном случае это партнерские отношения. В своей стране я артист, слава Богу, первой величины. Филипп артист первой величины во всех странах СНГ, поэтому тут речь идет о сотрудничестве, о дружеском взаимоотношении. Между нами нет междоусобиц, это желание двух творческих людей делать что-то хорошее вместе. В данном случае он записал замечательную песню "Shady lady", которая победила на национальном конкурсе в Украине, и это послужило отправной точкой, потому что мне она понравилась и с каждым новым исполнением мне она нравится еще больше. Кто знает, может быть, в будущем у нас с Филиппом появятся новые совместные проекты. Я сейчас очень рада, что мы проходим этот путь вместе. В 2005 году я должна была поехать от Украины, как за 2-3 дня ввели группу, которая спела политическую песню "Разом нас богато". Люди все были очень взволнованы, они даже вышли на улицу, с постерами в мою поддержку. Эта была маленькая революция в нашей стране. Многие были недовольны. И после этого я сказала: все! Я не хочу на Евровидение. Я эту страничку перелистнула. Но каждый год люди спрашивали, когда же ты поедешь? И знаете, это какая-то судьба… Ехали другие артисты, а этот вопрос все равно возникал… В этом году сам президент нашего телеканала обратился и уже, естественно, были такие условия, что если я соглашусь, то никаких отборочных конкурсов уже не будет. Мол, я имею право представлять страну, я это уже давно заслужила. Я отдыхала в Таиланде.. Филипп мне позвонил, сказал: "Срочно послушай!". Мы тут же нашли компьютер, песню скачали. И вот уже через несколько дней мы обсуждали запись песни в Киеве. Записывать поехали в Грецию.. Все было связано со знаками: позвонил Филипп, появилась песня.. До этого, чтобы принять решение, я подбрасывала монетку. И все три раза - да, да, да. Я далеко не суеверная, но как учит Коэльо - читайте знаки… Мне кажется, это был знак. Стоимость наряда от Кавалли еще никто не знает, т.к. они еще в процессе подготовки.. Но то, что это будет недорогое удовольствие, это да. Платье мне и коллективу шьют по спецзаказу. Мы пока не знаем кто будет за него платить, мы оттягиваем этот момент. Пока у нас на руках нет костюмов, поэтому и их стоимость мы еще не обсуждали. С Русланом мы познакомились в Москве, когда я выступала на российском отборе на Евровидение. Руслан произвел впечатление очень приятного солнечного и позитивного человека. И песня у него зажигательная, простая, доступная, такой, знаете, message! Мы недавно выступали с ним в Лондоне, и нужно было видеть, как весь зал пел с ним "Hasta la Vista". Я считаю, у него есть все шансы выбиться в лидеры, он очень достойный и талантливый, я думаю, Беларуси не будет стыдно. У меня не было шанса послушать других участников. Мы объехали около 20 стран с марта месяца! Я, безусловно, со всеми участниками познакомлюсь в Белграде. Сейчас главное закончить весь промотур, перед отъездом в Белград выспаться и с хорошим настроением выступить. Я никогда не берусь за что-либо с мыслью, что я могу потерпеть поражение. Если я за что-либо берусь, естественно планки ставятся самые высшие. А по-другому, зачем? Ani Lorak, having big experience in fight with discrimination of HIV-infected persons in Ukraine, will bring her efforts on pan-European level. "I think that I must use music to remind people about global problem of discrimination of HIV-infected", says Ani Lorak. Together with CFC Entertainment Ani Lorak has developed series of social projects. One of them is cooperation of Ani with charity organization "Designers against AIDS". On 31st of March singer has visited Belgium, where she met with leaders of beneficiary organization Ninnette Merk and Javier Barcala, signing with them protocol on cooperation. Ani Lorak’s will also present to the ESC guests and viewers her documentary AIDS IS NOT TRANSMITTED THROUGH FRIENDSHIP, filmed in both Ukraine and Europe. Ukrainian singer will also develop design of T-Shirts which will be distributed during Eurovision contest. Ani Lorak is also going to surprise European audience with comics, in which leading female character "Shady Lady" will fight with mysterious Mr.AIDS using a "needle" of organization "Designers against AIDS"
Ани Лорак, имея большой опыт в борьбе с дискриминацией ВИЧ-инфицированных на Украине, перенесет свои усилия на европейский уровень. "Я считаю, что я должна использовать музыку для того, чтобы еще раз напомнить людям о глобальной проблеме дискриминации ВИЧ-инфицированных." - говорит Ани Лорак. Для достижения этой цели Ани Лорак совместно с компанией СFC Entertainment разработала ряд проектов по социальной ответственности. Одним из них является сотрудничество Ани с благотворительной организацией “Дизайнеры против СПИДа”. 31-го марта певица посетила Бельгию, где успешно прошла встреча с лидерами благотворительной организации Нинетт Мерк и Хавьером Баркалой, результатом которой стало подписание Протокола о Сотрудничестве. Украинская участница также представит гостям и зрителям Евровидения 2008 свой документальный фильм “СПИД НЕ ПЕРЕДАЕТСЯ ЧЕРЕЗ ДРУЖБУ”, съемки которого проходили в Украине и в Европе. В рамках партнерства украинская певица разработает дизайн футболок, которые будут распространяться во время прохождения песенного конкурса. Также Ани Лорак собирается удивить европейскую публику комиксами, в которых главная героиня будет бороться с таинственным Мистером СПИДом, используя «иглу» организации “Дизайнеры против СПИДа”. Eurovision for me is chance to widen geography of my tours and to find new fans. I always felt I have potential to become world star. Eurovision is not cheap thing. We've already spent a lot of money, personal and sponsor, and hope that we will find some more as it is always not enough. As you understand, this European tours are very expensive things. And Cavalli dress is even more. 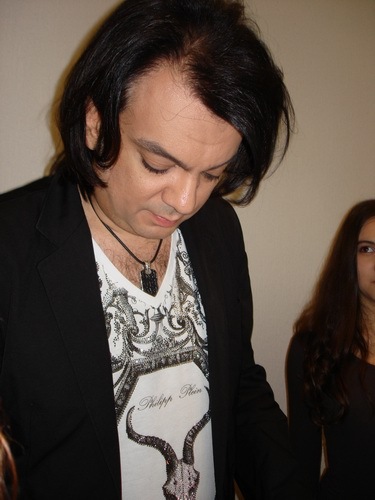 Song Shady Lady has been written by Philip Kirkorov. It was both my personal choice and choice of the Ukraine. I think this song has everything to impress viewers - drive, energy, vocal, beauty and show which will make this song complete. We're preparing special unforgettable show. I will dance, sing and impress everyone by my beauty and vocal. For Eurovision I prepare surprise - a Anti-AIDS documentary, with which I want to raise question about discrimination of HIV-infected people. We've prepared T-shirts, caps, comics book about "Shady Lady", postcards, calendars and other things. There will be a lot of things to see, read and listen to, including promo CD "Shady Lady" with different remixes. Евровидение - возможность расширить свою географию гастролей, найти новых зрителей. Я всегда ощущала в себе силы быть мировой звездой. Евровидение - удовольствие не дешевое. Уже потрачено очень много денег личных и привлеченных, надеемся еще на поддержку, потому что все равно не хватает. Как вы понимаете, европейские поездки - дорогое удовольствие. А платье от Кавалли - так и подавно. Песню Shady Lady написал Филипп Киркоров, и она участвовала в национальном отборе среди пяти композиций. И это был выбор Украины, и мой. В данном случае все совпало. Мне кажется, что в этой песне есть все необходимое, чтобы не оставить равнодушным зрителей - есть драйв, энергия, голос, красота и шоу, которое дополнит эту замечательную песню. Мы готовим незабываемое шоу. Я буду танцевать, петь и поражать всех своей красотой и голосом. На Евровидении я готовлю сюрприз в виде документального фильма "АнтиСПИД", которым я хотела бы поднять вопрос дискриминации ВИЧ-инфицированных. Также для фанов мы придумали футболки, кепки, книжку с комиксами о "Шеди Леди", открытки, календари и другая продукция. Будет что увидеть, прочитать и услышать, поскольку также диск с песней "Шеди Леди" и разными ремиксами. For a week Ani is in Moscow, where she is working on Eurovision presentation and is taking part in Philip Kirkorov concerts as guests. Also every day rehearsals of new staging are taking place. On 17th of April special representative of Roberto Cavalli has arrived to Moscow and brough new Ani's dress for a try out. Also costumes for dancers were also tried out. Later on the same day Ani and Philip took part in MTV Movie Awards, where they entered via red carpet. Specially for this even Ani was wearing "Shady Lady" dress designed by Angela Lisitsa. After Moscow Ani will visit London to take part in Scala club party. From there she will depart to Brussels and will finish her seven day tour in Spain. Вот уже почти неделю Ани Лорак прибывает в Москве, где готовит номер для Евровидения и участвует в качестве специального гостя в концертах Филиппа Киркорова. Каждый день проходят репетиции нового шоу, которое зрители смогут увидеть уже 22 мая. В дружественной обстановке разучивают и придумывают новые фишки уже к готовому номеру. 17 числа в Москву прилетел специальный представитель их офиса Роберто Ковалли и привёз Ани Лорак платье на примерку. Совершенное и сногсшибательное платье подчеркнуло фигуру Ани и сделало её ещё более обоворожительной . Также состоялась примерка костюмов для балета Ани. Вечером этого же дня в Москве проходила вечеринка MTV Movie Awards, куда Ани и Филипп прошли по красной дорожке. Пресса успела взять ответы на все интересующие их вопросы. Специально для этого вручения Ани заказала новое оригинальное платье с надписью Shady Lady у Анжелы Лисицы. Замысловатое платье в чёрно - серых тонах выделялось из толпы своей оригинальностью. Сразу после Москвы Ани Лорак посетит Лондон, где состоится вечеринка в клубе Скала. Оттуда она отправится в Брюссель, и закончит этот семидневный тур в Испании. On 12th of April Ani Lorak has continued her promotional tour in Malta. Without even a minute rest Ukrainian singer went for the series of TV interviews. First Ani was greeted by NetTV channel, where Ani took part in live broadcast of the daily entertainment show "Sas-Sitta". Ani has presented her music video for the song "Shady Lady" and spoke with the hosts on her song and her career. After getting settled in hotel Ani went to TVM channel for the program “Il-Lejla”, followed by OneTV «Bla Agenda». At 1 am Ani has performed in the popular Maltese nightclub Sky. Next year TVM channel invited Ani for the programs «Hadd Ghalik» and «Trid Tarah», where Ukrainian singer gave interview and hosts gave her flowers. «Malta is land of fairy tales. As soon as we landed and I left airport, I've entered this faity tale. No big houses, only small ones, if you can bring cabs and old dresses, it will really look like Middle Age. There are a lot of forts, and each building represents history of this country», told Ani. On one of the shows Karolina met with Maltese singer Morena, who will perform at Eurovision song «Vodka». They gave together interview, chatted and wished each other good luck. Recording of the show «Eurovision fiver», interviews for printed press and radios also took place. In the evening Ani had some free time, and she used it walking around the town and visiting catholic church. In the eventing Ani had dinner together with Maltese head of delegation Robert Abela. He wished good luck to Karolina and success at the contest. «I had very pleasant weekend in Malta. I'm happy that I had time to learn something about the culture of the country. We have worked a lot and had time for a good rest. Malta accepted me very warmly and friendly. When I was working on streets, passer by were looking at me and talking. I asked my guide to translate and it appeared that they saw me on TV and were discussing: "Look, this is the girl which will represent Ukraine at Eurovision". I was very happy to hear that». 12 апреля, в рамках тура в поддержку Евровидения, Ани Лорак прибыла на Мальту. Не отдохнув ни минуты, украинская певица направилась давать интервью на телевидение. Первым Ани встречал канал NET ТВ, где состоялся прямой эфир передачи «Sas-Sitta» - дневная развлекательная программа. Ани представила свой клип «Shady Lady», рассказывала ведущим о песне, о творчестве. Заселившись в гостиницу, Ани снова направилась на телеканал TVM на эфир программы “Il-Lejla”; чуть позже One ТВ «Bla Agenda». В час ночи Ани выступила в клубе Sky – самом большом молодёжном и известном заведении Мальты. На следующий день канал ТVM пригласил Ани для съёмки передачи «Hadd Ghalik» и передаче «Trid Tarah», где украинская певица дала интервью, а ведущие вручили ей цветы. «Мальта страна сказок. Как только мы приземлились и вышли за пределы аэропорта я как-будто окунулась в сказку. Никаких больших домов, только маленькие домики, и если поставить повозки и надеть пышные платья, то ты попадаешь в Средневековье. Сохранились крепости, по каждому сооружению видно, что эта страна живёт историей». Также на одной из программ, Каролине довелось встретиться с мальтийской певицей Мореной, которая исполнит песню «Vodka» на Евровидении. Они вместе давали интервью, разговаривали, и пожелали друг другу успеха в конкурсе. Также состоялась запись передачи «Eurovision fiver», интервью для прессы, запись для ТВ и радио. Вечером выдалась свободная минутка и Ани с удовольствием прогулялась по городу Мдина, а также посетила католический собор, где на тот момент проходила служба. Вечером в одном из известных ресторанов состоялся ужин с главой делегации Мальты Робертом Абеллой. Он пожелал Каролине удачи и успеха на конкурсе. «Я очень хорошо провела выходные на Мальте. Приятно, что было время познакомиться с культурой страны. Мы хорошо поработали и приятно отдохнули. Мальта очень тепло и дружелюбно приняла меня. Когда мы гуляли по улице, то прохожие смотрели на меня и шушукались. Я спросила гида, о чём они говорят. Оказалось, что они видели меня по телевидению и обсуждали: «Посмотри, вон пошла девушка, которая будет представлять Украину на Евровидении», - мне было безумно приятно это слышать». On 3rd of April Ani Lorak has arrived to Cyprus, where she could rest a bit after long journey. But already next day her schedule was full of events. 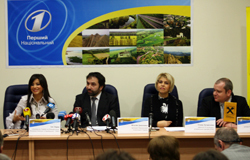 Starting at 9.00 Ani was meeting with representatives of local TV channels and radiostations. Karolina has visited morning show in "Polimera", gave interview to TV Sigma, which is one of the leading Cypriot channels. Also Ani has answered questions of different mass-media representatives and took part in photosession for "OK" magazine. Specially for this shooting famous Cypriot designer presented Ani three dresses. Ukrainian team was surprised to meet Cypriot branch of "Russian Radio" which representatives wished singer best of luck at the contest. "Everywhere we were accepted very positevely. I was asked about Ukraine, about my music. Everyone was interested to know details about our performance in Belgrade, whether there will be changes in staging. I'm very glad that people here are very nice and hospitable. At every interview we were joking, laughing - it was very interesting". Ani has met again singer Kostas Martakis, who lost at this year Greek national selection. Kostas was nominated for the "Most selling singer of the year" award, which was presented to him by Ani. Karolina wished Greek singer all the best. Also Ani visited radiostations: Radio Super, Radio Antenna, TV channels Sygma, Music Box, +TV, Mega Channel, Capital TV, SWBC. On 6th of April Ukrainian singer departed to Macedonia. There she took part in popular show "Music Idol" where she performed two songs, one of them being "Shady Lady". Viewers in hall stood up and started singing together with Karolina. On evening Ani had dinner together with producer of "Music Idol" and his son, who was former Eurovision participant. On 7th of April morning Ani left of Bulgaria. "I was very impressed by nature. A lot of mountains, covered with snow, very clear air. We stopped sometimes just to look at this beauty". In Bulgaria Ani again was invited to "Music Idol" show rehearsals. Next day she visited Bulgarian national TV, where in Morning show Ani spoke about herself and presented her music video, she also took part in the show "Vse pered ekranom", which will be aired later, BMT TV, Elit show, National radio, Standart newspaper, live at radio Darik, Greek Mad TV, BBT channel. Finally, Ani visited famous "Azis show" where she performed her song and answered questions of the show host. 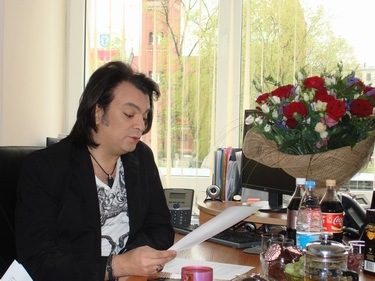 As Ani was visiting homeland of Philip Kirkorov she was passing his regards to the citizen of this country. In the evening Ani performed live at "Music Idol" and her performance again was well accepted by viewers. 3 апреля Ани Лорак приехала на Кипр, где ей удалось немного отдохнуть после многочисленных переездов. Но уже на следующий день программа мероприятий на целый день была забита «под завязку». С 9 утра до позднего вечера Ани встречалась с представителями местных ТВ каналов и радиостанций. Каролине удалось посетить утренний эфир в программе «Полимера», дать интервью ТВ каналу «Сигма» - который является самым крупным каналом Кипра. Также Ани отвечала на вопросы журналистов из разных изданий и участвовала в фотосессии для журнала «ОК». Специально для этой съёмки известный кипрский дизайнер предоставил Ани 3 платья. Удивлением для команды было существование на Кипре радиостанции «Русское радио», представили которого, выразили украинской певице свою поддержку и пожелали удачи на конкурсе. «Где бы мы не были, куда бы мы не приходили, везде меня встречали с огромным позитивом. Расспрашивали меня про Украину, про моё творчество. Всем было очень интересно узнать, как мы выступим в Белграде, будут ли нововведения в постановке. Мне очень приятно, что здесь люди добрые и отзывчивые. На всех интервью мы шутили, смеялись – было очень интересно». Ани довелось снова встретиться с Костасом Мартакесом – греческим молодым певцом, который не прошёл национальный отбор в Греции. Костас был номинирован на награду «Самый продаваемый исполнитель года», а награду ему вручила Ани Лорак. Каролина поздравила его и пожелала исполнения всех желаний. Также Ани посетила эфиры радиостанций: Радио-супер, радио антенна, ТВ каналы «Сигма», «Music box», «+ TV», «Mega channel», «Capital tv», «SWBC». 6 апреля украинская певица отправилась в Македонию. Каролина принимала участие в самой известной и популярной программе на сегодняшний день «Music Idol », где выступают молодые исполнители. Ани исполнила там две песни, одна из которых «Shady lady», вызвавшая интерес у публики. Хороший звук, громкое шоу и несравненная Ани заставили зал подняться и петь вместе с Каролиной. Вечером Ани оправилась на ужин с продюсером программы «Music idol» и с его сыном, который когда-то принимал участие в конкурсе Евровидение. Утром 7 апреля Ани отправилась в Болгарию. «Очень впечатлила местность. Много гор со снегом, чистый воздух. Мы даже несколько раз останавливались, чтобы насладиться этой красотой». И тут с самого утра продолжались съёмки, интервью и репетиция программы «Music idol». На следующий день прошли съёмки для следующих каналов: болгарское национальное ТВ, где с самого утра Ани посетила эфир программы, рассказала о себе, показала клип; съёмка для болгарского Национального ТВ для участия в передаче «Все перед экраном», которая выйдет в записи; съёмка для журналистов «Music idol»; ТВ «BMT TV» съёмки передачи «Элит», Национальное радио, газета «Стандарт», радио «Дарик» - прямой эфир, греческое «Мед ТВ, канал «BBT». Ани стала гостьей популярной передачи «Шоу Азиcа», которое славится своей неординарностью. Каролина спела песню и ответила на провокационные вопросы Азиcа. Так как Ани посетила родину Филиппа Киркорова она несколько раз передавала от него привет всем жителям этой страны. Вечером состоялось выступление в программе «Music Idol», где публика принимала Каролину «на ура». On March 31st Ani Lorak visited Brussels where she met with the senior representatives of a non-profit organization Designers Against AIDS (DAA) Ninette Murk and Javier Barcala. During the meeting Ani and DAA discussed the possibilities of joint projects and signed a Protocol of Cooperation which declares the parties’ mutual interest in raising AIDS awareness on a global scale. The collaboration between DAA and Ani Lorak will start with a number of joint projects at this year’s Eurovision Song Contest in Belgrade (Serbia), where the star-singer will be representing Ukraine. Striving for global awareness about the AIDS problem, the parties believe that cultural and musical events such as Eurovision can serve as a unique platform for cultivating tolerance and fighting stigma and discrimination towards HIV positive people. As part of the newly formed partnership, the Ukrainian star and AIDS-activist invited Javier Barcala, the Creative Director of DAA, to be a special guest at her press-conferences at Eurovision 2008, which will address the global problem of AIDS. “DAA is a fantastic organization run by exceptionally enthusiastic and interesting people. I hope in our joint projects we will combine music and fashion to help HIV and AIDS infected people worldwide”, said Ani Lorak after the meeting in Brussels. Ani Lorak’s will also present to the ESC guests and viewers her documentary AIDS IS NOT TRANSMITTED THROUGH FRIENDSHIP, which is currently being created specifically for Eurovision 2008. Ani Lorak has a long history of campaigning against AIDS and involvement in charitable projects of international organizations. In 2004, she served as the UN Goodwill Ambassador for HIV/AIDS. In recent years Ani Lorak participated in the creation of social advertisements fighting discrimination, donated money from her concerts to hospitals, and visited some of them to give a hand of support to the infected people. ”I know, from my numerous conversations with HIV-positive people, that they need our friendship and love as much as they need our financial support”, said the singer. “By raising this issue at such a popular and widely-watched event as Eurovision we will strongly promote the idea of non-discrimination on the basis of HIV-positive status”. DESIGNERS AGAINST AIDS (DAA) is a project of non-profit organization Beauty Without Irony. It was founded in 2004 to raise AIDS awareness in the international media and towards the general public, more specifically towards young people in the industrialized countries. DAA does this by asking famous and emerging fashion designers, musicians, artists and other celebrities to create designs that they print on clothing items. Such well-known celebrities as Timbaland, Rihanna, Nina Persson, Ziggy Marley, Good Charlotte, and others have already had their say in the battle against the spread of HIV/AIDS and the stigma and discrimination of HIV-positive individuals. Now Ani Lorak will join them to support a good cause. 31-го марта Ани Лорак посетила Бельгию, где провела встречу с лидерами благотворительной организации “Дизайнеры против СПИДа” (Designers Against Aids) Нинетт Мерк и Хавьером Баркалой. Во время встречи, Ани и представители организации обсудили возможности проведения совместных проектов и подписали “Протокол о Сотрудничестве”, в котором заявили о взаимной заинтересованности в повышении уровня осведомленности о проблеме СПИДа во всем мире. Сотрудничество организации “Дизайнеры против СПИДа” и Ани Лорак начнется с ряда совместных проектов на конкурсе Евровидение, который пройдет в этом году в Белграде (Сербия) где певица будет представлять Украину. Ставя перед собой цель повысить осведомленность о проблеме СПИДа во всем мире, стороны считают, что культурные и музыкальные события, такие как Евровидение, могут стать уникальной платформой для воспитания толерантности, а так же для борьбы с предрассудками и дискриминацией ВИЧ-инфицированных людей. “Организация “Дизайнеры против СПИДа” очень рада и гордится тем, что обрела такого сильного партнера в лице Ани Лорак, - заявила основатель и директор организации Нинетт Мерк, - мир должен знать больше об этой проблеме, и мы будем с радостью помогать Ани в ее глобальной миссии”. Следует заметить, что Ани Лорак стала первой украинской певицей, которая попала в Зал Славы организации. В рамках партнерства, звезда украинской эстрады и активист борьбы со СПИДом Ани Лорак пригласила творческого директора организации Хавьера Баркалу в качестве специального гостя на свою пресс-конференцию на Евровидении 2008, которая будет специально посвящена глобальной проблеме борьбы со СПИДом. “Дизайнеры против СПИДа” – прекрасная организация, которой управляют энергичные и преданные делу люди. Надеюсь, что в наших совместных проектах мы сможем объединить музыку и моду для для оказания поддержки больным ВИЧ/СПИДом во всем мире”, - заявила Ани Лорак после встречи в Брюсселе. Ани Лорак так же представит гостям и зрителям Евровидения 2008 свой документальный фильм “СПИД НЕ ПЕРЕДАЕТСЯ ЧЕРЕЗ ДРУЖБУ”, съемки которого проходят в эти дни специально для показа на конкурсе. Ани Лорак уже не первый год принимает участие в кампаниях, направленных на борьбу со СПИДом, а также в благотворительных проектах международных организаций. В 2004-м году она выполняла миссию Посла Доброй Воли ООН по вопросам ВИЧ/СПИДа. Она участвовала в создании социальной рекламы, направленной на борьбу с дискриминацией, жертвовала прибыль от своих концертов для больниц, а так же посещала некоторые из них, для того чтобы лично оказать поддержку больным. “Я много общалась с ВИЧ-инфицированными людьми. Могу сказать, что, что они нуждаются в нашей дружбе и любви не меньше чем в финансовой поддержке”, – подчеркнула певица, – “заявляя об этой проблеме на таком популярном и массовом мероприятии как Евровидение, мы сможем, хотим донести миру идею о том, что дискриминация ВИЧ-инфицированных людей недопустима”. Организация “Дизайнеры против СПИДа” является проектом благотворительного фонда “Красота без Иронии” (Beauty Without Irony). Она была основана в 2004-м году с целью информирования о проблеме, о СПИДе с помощью международных СМИ широких кругов общественности, особенно молодых людей в развитых странах. Организация проводит совместную работу с известными и перспективными модельерами, музыкантами, певцами и другими знаменитостями по созданию эскизов, которые переносятся на предметы одежды. Такие звезды как Тимберленд, Рианна, Нина Перссон, Зигги Марли, Гуд Шарлот и другие уже сказали свое слово в борьбе с распространением ВИЧ/СПИДа, а также с предрассудками и дискриминацией ВИЧ-инфицированных людей. Теперь, для того чтобы поддержать это достойное дело, к ним присоединяется и Ани Лорак. Ani Lorak is yet to decide what exactly dress she will wear on Belgrade stage. Specially for Shady Lady designer Angela Lisitsa has prepared two variants of dress: pink with jewellery and silver, made of thin chains. However, singer has decided that this is not enough and one more dress is needed. During her promotional tour in Baltics Ani has managed to get in touch with famous designer Roberto Cavalli and pay him friendly visit. Through Milan singer go to Florence where two stars have met. As Roberto Cavalli is very busy person, he had left almost immediately and all details were discussed with his personal assistant. Cavalli's team knew what exactly is required for the singer. They have prepared for this meeting well: studied website of Ani, watched her videos and listened to the songs. They have immediatly suggested 5 variants of the dress. When Ani got to the house she heard Shady Lady playing there. For some hours they were discussing elements of new dress. Singer was shown samples that were prepared for "Spice Girls". Technology of the dress selected by Karolina is based on corset. As assistant of Roberto informed Ani, same was used for one of Victoria Beckham dresses. However, the final variant of the dress will remain surprise for all fans of Ani and journalists. Ани Лорак до сих пор не пришла к окончательному решению, в каком же именно одеянии она представит Украину в Белграде. Специально для Shady lady дизайнер Анжела Лисица пошила два платья: розовое с драгоценными камнями и серебренное, сшитое из тоненьких цепочек. Но на этом певица останавливаться не думает. Так как совершенству нет предела, Ани решила подготовить ещё одно платье. Во время промо-тура по Прибалтике, Каролине удалось связаться с Роберто Кавалли и нанести ему дружеский визит. Перелётом через Милан певица посетила Флоренцию. Именно там и состоялась встреча двух звёзд. Так как Роберто Кавалли человек достаточно занятой и почти сразу уехал, все мелкие детали по платью обсуждались с его личным помощником. Команда Кавалли знала, что именно нужно предложить украинской певице. Они тщательно подготовились к встрече со звездой: изучили сайт, посмотрели клипы, прослушали песни. Каролине сразу же предложили 5 вариантов будущего платья. Когда Ани зашла в дом из колонок доносилась песня Shady lady. Несколько часов проходило обсуждение нового наряда. Певице показали эскизы платьев, которые модельер когда-то делал для группы «Spice girls». Технология платья, которое, выбрала Каролина, состоит из корсета. Как сказал ассистент Роберто, такой же когда-то был использован для платья Виктории Бекхем. On Monday, 3rd of March, from 7 in the morning till late night Ani Lorak was filming video for her contest entry "Shady Lady". The video has been directed by Katya Tsarik. More info on the video - here, photogallery here, watch the video - here. It has been confirmed that staging for Eurovision will be done by Fokas Evaggelinos, who was behind stage presentations of Sakis Rouvas, Helena Paparizou, Dima Bilan etc. Постановкой шоу для Евровидения будет заниматься Фокас Евагелинос, который ставил номера Сакису Рувасу, Елене Папаризу, Диме Билану и др. Excerpts for the songs to be performed by Ani Lorak at the national selection have been published by the record label Lavina Music working with Ani. There is some confusion as different sources provided different lists of entries taking part in the selection. It seems that song in Russian "Zhdu tebya" has been added to the running list, despite rules of national preselection clearly states: only songs in Ukrainian and English are allowed. The addition of this song has already been causing some chaos. The voting numbers have already been published and the voting has started, but official site of Ani Lorak is listing as yesterday's news list of 4 songs and official site of NTU has not published any list yet at all. Also, song of Bozhena Kostromskaya has received new title "I'm your melody", but is included in televoting advertisement as "I'm your woman" Лейблом Lavina Music опубликованы отрывки песен, которые исполнит Ани Лорак на национальном отборе. Есть однако определенные разногласия в списках песен, опубликованных различными источниками. Проблему создало добавление в последний момент к списку участников композиции "Жду тебя". Участие песни на русском языке вообще противоречит опубликованным правилам национального отбора, согласно которым до участия допускаются только композиции на украинском и английском языках. Добавление новой песни уже создало определенный хаос: начато голосование и опубликованы его номера, однако на официальном сайте Ани Лорак во вчерашней новости указаны только 4 песни, а на официальном сайте телеканала списки не опубликованы вообще. Также, песня Божены Костромской получила новое название "I'll be your melody", но в проморолике голосования фигурирует как "I'm your woman". Currently, we're awaiting for the official confirmation of the list from NTU. Согласно информации, полученной ESCKaz были утверждены композиции, которые Ани Лорак исполнит на национальном отборе 23го февраля. К сожалению, из всех присланных заявок, была утверждена только одна песня, а всего их будет 4, вместо планировавшихся 6ти. Причем одна из участвующих композиций (и единственная украиноязычная) уже была издана на альбоме Ани "15" и недавно на нее был снят видеоклип (фото выше). В настоящее время мы ждем официального подтверждения списка композиций со стороны НТУ. 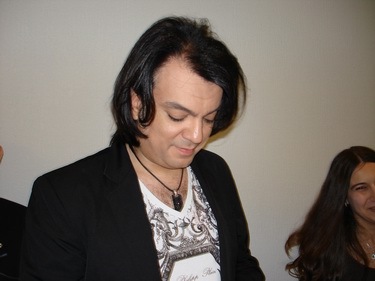 Confirmed: Philip Kirkorov has entered a song for Ani Lorak. The prediction of ESCKaz published earlier this week has been confirmed by official sources. Song "Shady Lady" composed by Philip Kirkorov and written by Karen Kavaleryan, already recorded by Ani Lorak in Greece, will take part in national selection. Originally the melody was suggested to Dima Bilan, Sergey Lazarev, Evgeniya Otradnaya, Kristina Orbakaite, and was later reworked for Ani Lorak, including specially written for her performance lyrics. "When I learnt that Ani Lorak will represent Ukraine, I've received call from my friends from First National channel and invitation to join Ukrainian team. Karolina herseft has amazingly performed her task, and recorded this rather difficult entry. She did it perfectly! And whatever the result will be, I'm already glad that I had chance to work with this great singer as producer and composer. It is enough for me. 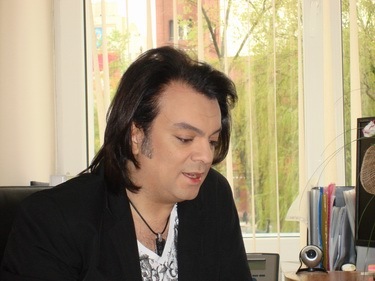 And if we will win national competition and will move further, we will prove to everyone that Ukraine is one of the best music countries in the world", declared Philip Kirkorov. "Philip's song "Shady Lady" is one of suggested to me for the national final on 23rd of February. I was happy with the reception Philip made for me in Greece. He met us in airport, followed us to the hotel, was with us at all meetings, and I want to express big thank you for his cordiality. I've met many interesting people in Athens: directors, composers, sound producers, who have huge Eurovision experience and are super professionals. I've been recording the song at one of the best studios, producer of which told me: "You're the most talented singer, I've ever worked with in my studio". I've also had dinner with Kostas Martakis, candidate to represent Greece in Eurovision 2008. I wished good luck to him. Now, I'm passionately awaiting when track will be ready, I want to listen to it. I can not predict this song will win, as I'm awaiting for the moment when all songs will be ready. I suggest that there won't be 6 songs at the preselection, as planned, but 3-4, as it is much easier to select from the smaller number of entries, as all songs should go from the heart. As in Greek selections, they used to have 4 songs, and it was easier to the voters. I've listened to the songs sent to me, there are mostly Russian shanson, wedding songs, joke entries, but there is no material suitable to represent Ukraine at Eurovision. I've come to the conclusion that music should be written by professionals only, who feel and know how every line and note should sound". All in all First National channel has received 109 entries, from them 11 complete (notes, lyrics and audio recording). 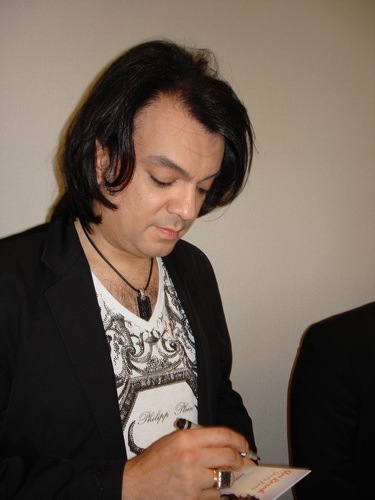 Besides Philip Kirkorov Olexandr Ponomaryov is also working under song for Ani. Entries have also been received from British and Israeli production centers. Head of Entertainment and Music broadcast of NTU also declared that songs in Ukrainian will be allowed in preselection as well. Members of jury: Eduard Klim, Vitaliy Dokalenko, Olexandr Ponomaryov, Olexandr Zlotnik, Igor Poklad, Vasil Vovkun, Sergey Kuzin will now select 6 songs to be performed by Ani Lorak at preselection concert on 23rd of February. Официально: Филипп Киркоров подал заявку для Ани Лорак. Прогноз ESCKaz опубликованный ранее на этой неделе был подтвержден официальными источниками. Композиция "Shady Lady" Филиппа Киркорова и Карена Кавалеряна, уже записанная Ани Лорак в Греции, примет участие в национальном отборе. Ранее данная мелодия была предложена Диме Билану, Сергею Лазареву, Евгении Отрадной, А-Студио, Кристине Орбакайте, а впоследствии была переработана для Ани Лорак, текст был написан специально для ее исполнения. "Когда я узнал, что Ани Лорак будет представлять Украину, мне позвонили мои друзья с Первого Национального и предложили стать в ряды украинской команды. Точку поставит сама Каролина, которая блистательно справилась со своей задачей, исполнив, на мой взгляд, сложное произведение. Она сделала это великолепно! И как бы не решился исход этого конкурса, я рад, что я уже поработал с такой потрясающей певицей, как продюсер и композитор. Мне даже этого достаточно. Ну, а если дело пойдет дальше и мы выиграем конкурс с моей песней, то, мы докажем всем, что Украина – одна из самых лучших музыкальных стран в мире! ", заявил Филипп Киркоров ForUm. "Песня Филиппа Киркорова под названием «Shady lady» – одна из предложенных мне для отбора 23 февраля. Я была очень рада приёму, который оказал мне Филипп в Греции. Он встречал нас в аэропорту, провожал до гостиницы, сопровождал на всех встречах и я хочу сказать ему большое спасибо за его радушие. В Афинах я познакомилась с очень интересными людьми: режиссёрами, композиторами, саундпродюсерами, которые уже неоднократно работали на Евровидении я являются супер-профессионалами. Песню записывала на одной из лучших студий, продюсер которой сказал мне: "Ты самая талантливая певица, которая когда-либо писалась на моей студии". Нам удалось поужинать с Костасом Мартакесом – претендентом на участие в Евровидении-2008 от Греции. Я пожелала ему удачи. Теперь жду не дождусь, когда сведут трек, очень хочу услышать его в готовом варианте. Конечно, я не могу сказать, что именно эта песня победит, и я очень жду, когда будут готовы все песни. На самом деле, я предполагаю, что на отборе 23 февраля будут не 6 песен, а 3-4, потому что намного легче выбирать из меньшего количества – ведь песня должна идти от сердца. По опыту Греции, у них было 4, и зрителю было намного легче определиться. Я послушала песни, которые мне высылают, это и шансон, и свадебные песни, и развлекательные, но это пока далеко не то, с чем можно представлять Украину. Я послушала много музыки и пришла к выводу, что музыку должны писать профессионалы, люди которые умеют, знают и чувствуют, как должна звучать та или иная строчка и нота"
Всего на адрес Первого Национального канала поступило 109 песен, из них полностью соответствующих заявке, т.е. включающих текст, ноты и аудиозапись - 11. Помимо Филиппа Киркорова над песней Ани Лорак работает Олександр Пономарев. Также поступили композиции из британского и израильского продюсерских центров. Директор ТО Музыкальных и развлекательных программ НТУ Елена Загороднюк также сообщила, что до конкурса будут допускаться и композиции на украинском языке. В состав жюри отбора вошли: Эдуард Клим, Виталий Докаленко, Олександр Пономарев, Олександр Злотник, Игорь Поклад, Василь Вовкун, Сергей Кузин - которые и выберут 6 песен для исполнения Ани Лорак 23го февраля на отборочном концерте. Ani Lorak will represent Ukraine at Eurovision Song Contest 2008. Press-conference with participation of Vitaliy Dokalenko (president of NTU), Olyona Zagorodnyuk (head of music and entertainment broadcast of NTU), Leonid Zyabrev (representative of Raiffeisen bank (official sponsor of Eurovision 2008) and Ani Lorak (Ukrainian representative at ESC 2008) has been held today. Vitaliy Dokalenko: "This year NTU decided to use it's right to select representative for Eurovision internally. Ani Lorak has many "Golden" discs, she is one of the most touring singers of Ukraine, she has many fans in Ukraine and abroad". Ani Lorak: "Participation in this contest is chance to tell world about myself, to get new auidience of fans with just three minutes of performance". As Ani admitted it took her around two weeks to think over the suggestion, and she even three times thrown the dices, and all three times got positive result. During press-conference, Vitaly gave to Ani a little toy - mouse, symbol of the year 2008. Song, which will be performed by Ani in Serbia will be selected during open selection. Starting from December 25 all interested composers can submit their songs to NTU for consideration. At NTU website official regulations of the competition has been published. Submission deadline is February 5th. On 8th of February jury will select 6 songs that will qualify to the final of selection. During the televized final on 16th of February jury and televiewers will select the best song, which will be performed by Ani in Belgrade. NTU also stated that 12 best songs of preselection will be recorded by Ani Lorak and released on a special CD. Besides this NTU has also confirmed that it will be broadcasting both semifinal of the contest, with a special farewell concert of Ani Lorak and friends broadcasted on 11th of May. Ани Лорак представит Украину на конкурсе Евровидение 2008. Состоялась пресс-конференция, в которой приняли участие: Виталий Докаленко (президент НТУ), Елена Загороднюк (директор ТО музыкальных и развлекательных программ НТУ), Леонид Зябрев (представитель Райффайзен Банка – официального спонсора Евровидения 2008) и Ани Лорак (представительница Украины на Евровидении 2008). Виталий Докаленко: «В этом году НТУ решила воспользоваться своим правом самостоятельного отбора представителя на Евровидение 2008. Ани Лорак – заслуженная артистка Украины, у нее множество «золотых дисков», она одна из наиболее гастролируемых исполнителей Украины. У нее множество поклонников как в Украине, так и за рубежом». Ани Лорак: «Участие в этом конкурсе – возможность заявить о себе, возможность получить себе новых поклонников всего за три минуты выступления». Как призналась певица, она не сразу согласилась на это предложение - и даже трижды кинула монетку на счастье и три раза выпал положительный результат. В ходе пресс-конференции Виталий подарил Ани символ будущего года - игрушечного мышонка. Песня, которую исполнит Ани будет выбрана открытым отбором. С 25го декабря все заинтересованные композиторы могут присылать на отборочный конкурс свои песни. На сайте НТУ опубликовано положение о национальном отборе. Заявки принимаются до 5го февраля. 8го февраля жюри назовет 6 песен, которые выйдут в финал отбора. 16 февраля в прямом эфире Первого Национального пройдет финал национального отбора – жюри и зрители определят лучшую песню, с которой Ани и выступит в Белграде. НТУ также заявило, что 12 лучших песен из отбора будут записаны Ани Лорак и выпущены на специальном диске. Помимо этого НТУ подтвердило, что будет транслировать оба полуфинала конкурса. 11 мая будет продемонстрирована специальная программа-концерт - проводы Ани Лорак на Евровидение.